The Price Plus club card gives you more ways to save each week. -Bring your Price Plus® club card with you every time you shop. -Present your card at the checkout and watch the savings add up! - Instant cash discounts on hundreds of items throughout the store. - Special offers and promotions such as Free Holiday items. - Exclusive mailings and offers created FOR YOU. - Checkout Coupons on brands YOU buy. 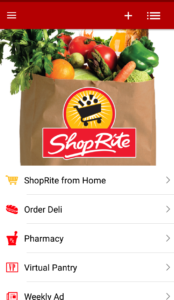 *Download Digital Coupons visit coupons.shoprite.com for details. - If you ever lose your keys with your Price Plus® club card they can be dropped in any mailbox, and we can return them to you! - Product Safety Notices: Your Price Plus club card will allow us to notify you in the event of a product safety recall. You have many coupons at your disposal and to make it easy, you just select the item you want and it will be loaded to your card. No Coupon Clipping. All you need to do is Download the App. Check your Apple or Android Market Now! Speed Stick Twin Pack Deodorants, only $0.88 at Shoprite, ends 4/27! San Giorgio Pasta, only $0.77 at Shoprite, ends 4/27! Banquet Pot Pies, only $0.99 at Shoprite, ends 4/27! Shoprite Coffee K-Cups only $2.99, ends 4/27! SoftSoap Liquid Hand Soap, only $0.88 at Shoprite, ends 4/27! Jiffy Corn Muffin Mix, only $0.33 at Shoprite, ends 4/27! Dannon Greek Yougurt, Only $0.92 at Shoprite, ends 4/27! Select Oretega Products only $0.49 at Shoprite, ends 4/27! Schick Disposable Razors, Just $0.49 at Shoprite, ends 4/13! Speed Stick Deodorant, only $0.82 at Shoprite, ends 4/13! SoftSoap Liquid Hand Soap, only $0.50 at Shoprite, ends 4/13! Purex Liquid Laundry Detergent, Only $0.49 at Shoprite, ends 4/13! Garnier Whole Blends, only $1.00 at Shoprite, ends 4/13! TRESemme Hair Care, only $1.50 at Shoprite, ends 4/13! Shoprite Storage Zipper Bags only $1.00, ends 4/13! Ronzoni Pasta, just $0.67 at Shoprite, ends 4/13! Skippy Peanut Butter, only $0.95 at Shoprite, ends 4/13! Ragu Pasta Sauce, Only $1.00 at Shoprite, ends 4/13! Celeste Pizza for One, Just $0.99 at Shoprite, ends 4/13! Irish Spring Body Wash, only $1.99 at Shoprite, ends 4/13! Wish-Bone Salad Dressings, only $1.00 at Shoprite, ends 4/13! Febreeze Air Effects, only $1.50 at Shoprite, ends 4/6! Luvs Jumbo Pack Diapers, only $5.49 at Shoprite, ends 4/6! Hefty Foam Plates, just $1.49 at Shoprite, ends 4/6! Axe Body Spray or Deodorant, only $2.33 at Shoprite, ends 4/6! Suave Body Wash, Only $0.09 at Shoprite, ends 4/6! Grab Shoprite Waffles for Only $0.99, ends 4/6! Suave Professionals, only $0.49 at Shoprite, ends 4/6! Act Mouthwash, just $0.99 at Shoprite, ends 4/6! Dynamo laundry or Final Touch, only $0.77 at Shoprite, ends 4/6! Lysol Cleaners & Wipes as low as $0.55 at Shoprite, ends 4/6! Pantene Shampoo or Conditioner only $1.99 at Shoprite, ends 4/6! Powerade Drinks, only $0.69 at Shoprite, ends 4/6! Wish-Bone Salad Dressings, only $0.99 at Shoprite, ends 4/6! Jimmy Dean Breakfast Bowls, only $1.40 at Shoprite, ends 4/6! Huggies Snug and Dry Jumbo Diapers, only $6.49 at Shoprite, ends 4/6! Minute Maid Orange Juice, just $1.88 at Shoprite, ends 4/6! Hefty Trash Bags, just $1.99 at Shoprite, ends 4/6! Galbani Mozzarella Cheese, only $0.99 at Shoprite, ends 4/6! Bounty Essentials Towels, only $0.67 per roll, ends 4/6! Clorox Liquid Bleach Only $0.99 at Shoprite, ends 4/6! Kinder Joy Chocolate Egg, Only $1.00 at Shoprite, ends 4/6! $2.01 Moneymaker Bic Disposable Razors at Shoprite, ends 3/30! Ajax or Final Touch Fabric Softner, only $0.77 at Shoprite, ends 3/30! FREE Colgate Optic White at Shoprite, ends 3/30! Palmolive Dish Liquid, just $0.49 Shoprite, ends 3/30! Kelloggs Pop Tarts, only $1.34 at Shoprite, ends 3/30! Select General Mills Cereals, only $1.49 at Shoprite, ends 3/30! Eggo Waffles, only $1.66 at Shoprite, ends 3/30! Scott Paper Towels, only $0.65 per roll at Shoprite, ends 3/30! Shoprite ~ Char-Broil 2-Burner Grill for only $79.99 (Reg. $104), ends 3/30! Viva Paper Towels, Just $0.67 per roll at Shoprite, ends 3/30! Red Baron Pizza, only $2.99 at Shoprite, ends 3/30! Lindsay Black Pitted Olives, only $0.49 at Shoprite, ends 3/30! DiGiorno Pizza, only $4.99 at Shoprite, ends 3/23! Axe Body Spray or Deodorant, only $2.00 at Shoprite, ends 3/23! Oretega Taco Seasoning, only $0.18 at Walmart! St. Ives Body Wash, only $0.49 at Shoprite, ends 3/23! Ragu Pasta Sauce, Only $0.84 at Shoprite, ends 3/23! HillShire Farms Small Plates, only $1.00 at Shoprite, ends 3/23! Eggo Waffles, only $1.66 at Shoprite, ends 3/23! San Giorgio Pasta, only $0.88 at Shoprite, ends 3/23! Ecotrin Tablets, only $1.99 at Shoprite, ends 3/23! U by Kotex Liners, Pads or Tampons only $1.50, ends 3/23! Dove Bath Soap, only $0.83 per bar at Shoprite, ends 3/23! Poise Pads or Liners, only $1.99 at Shoprite, ends 3/23! Garnier Whole Blends, only $1.49 at Shoprite, ends 3/23! Shoprite Pasta Only $0.79, ends 3/23! TRESemme Shampoo & Conditioner, only $2.00 at Shoprite, ends 3/23! Cooked Perfect Meatballs only $1.88 at Shoprite, ends 3/23! Jimmy Dean Bacon, only $1.99 at Shoprite, ends 3/23! Hefty Foam Plates, just $1.38 at Shoprite, ends 3/23! Kodak Heavy Duty Batteries, just $0.59 at Shoprite, ends 3/23! Lysol Cleaners & Wipes as low as $0.50 at Shoprite, ends 3/23! Freschetta Pizza, Just $2.99 at Shoprite, ends 3/23! Francesco Rinaldi Pasta Sauce, only $0.99 at Shoprite, ends 3/16! San Giorgio Pasta, only $0.88 at Shoprite, ends 3/16! Kinder Joy Chocolate Egg at Shoprite Only $1.00, ends 3/16! Hefty Slider Bags, only $1.38 at Shoprite, ends 3/16! Clariol Nice ‘N Easy or Root Touch-up, only $3.99 at Shoprite, ends 3/16! Blink Revitalens Multipurpose Solution, only $2.89 at Shoprite, ends 3/16! Select General Mills Cereals, only $1.49 at Shoprite, ends 3/16! Purex Liquid Laundry Detergent, Only $0.99 at Shoprite, ends 3/16! Ludens Cough Drops, only $0.50 at Shoprite, ends 3/16! Schick Disposable Razors & Shave Gel, Just $0.99 at Shoprite, ends 3/16! Right Guard 48-Hr Deodorant, only $0.24 at Shoprite, ends 3/16! Lysol Cleaners & Wipes as low as $0.50 at Shoprite, ends 3/16! Bic 3 Sensitive Skin Razors, only $0.24 at Shoprite, ends 3/16! Complete Multipurpose Solution, only $0.49 at Shoprite, ends 3/16! FREE LA Looks Styling Gel at Shoprite, ends 3/16! Herbal Essences Hair Care, only $1.49 at Shoprite, ends 3/16! Eggo Waffles, only $1.66 at Shoprite, ends 3/16! SoftSoap Body Wash, only $0.99 at Shoprite, ends 3/16! Aussie Hair Care, only $1.49 at Shoprite, ends 3/16! Huggies Snug and Dry Jumbo Diapers, only $3.99 at Shoprite, ends 3/16! Nivea Lip Care, just $0.99 at Shoprite, ends 3/16! Hefty Foam Plates, just $1.38 at Shoprite, ends 3/16! Halls Cough Drops, only $0.88 at Shoprite, ends 3/16! Select Colgate Toothpaste & Toothbrushes, only $0.88 at Shoprite, ends 3/16! Reach Toothbrush, only $0.64 at Shoprite, ends 3/16! Irish Spring Body Wash, only $1.99 at Shoprite, ends 3/16! Aim or Pepsodent Toothpaste, just $0.69 at Shoprite, ends 3/16! Bic Disposable Razors, only $0.99 at Shoprite, ends 3/9! Garnier Whole Blends, only $1.16 at Shoprite, ends 3/9! Suave Professionals or Kids Hair Care, only $1.77 at Shoprite, ends 3/9! Garnier Fructis Hair Care, only $1.49 at Shoprite, ends 3/9! Eggo Waffles, only $1.66 at Shoprite, ends 3/9! L’Oreal Elvive Hair Care, Only $1.00 at Shoprite, ends 3/9! Ragu Pasta Sauce, Only $1.50 at Shoprite, ends 3/9! Cooked Perfect Meatballs, only $1.88 at Shoprite, ends 3/9! Sargento Shredded Cheese, only $1.00 at Shoprite, ends 3/9! Dynamo laundry or Final Touch Fabric Softner, only $1.77 at Shoprite, ends 3/9! Silk Almond Milk, only $0.99 at Shoprite, ends 3/9! DiGiorno Pizza, only $3.88 at Shoprite, ends 3/9! Nabisco Oreo Cookies, only $1.77 at Shoprite, ends 3/9! FREE Suave Body Wash at Shoprite, ends 3/2! FREE Scotties Facial Tissues at Shoprite, ends 3/2! Select General Mills Cereals, only $0.99 at Shoprite, ends 3/2!! Ajax or Final Touch Fabric Softner, only $0.77 at Shoprite, ends 3/2! Act Oral Care, just $0.99 at Shoprite, ends 3/2! Luvs Jumbo Pack Diapers, only $5.49 at Shoprite, ends 3/2! Betty Crocker Fruit Snacks, only $1.38 at Shoprite, ends 3/2! Chock full O’ Nuts Coffee, only $1.49 at Shoprite, ends 3/2! Ragu Pasta Sauce, Only $0.99 at Shoprite, ends 3/2! Cheap Barbasol or Pure Products at Shoprite, ends 3/2! Wish-Bone Salad Dressings, only $0.99 at Shoprite, ends 3/2! Shoprite Storage Zipper Bags only $0.99, ends 3/2! Scott Paper Towels, only $0.50 per roll at Shoprite, ends 3/2! Earth’s Best Organic Baby Food, only $0.88 at Shoprite, ends 3/2! Dove Bath Soap 6-pack, only $4.99 at Shoprite, ends 3/2! Airborne Cold Relief Tablets, only $4.99 at Shoprite, ends 3/2! San Giorgio Pasta, only $0.99 at Shoprite, ends 3/2! Dove Hair Shampoo or Conditioner, only $1.49 at Shoprite, ends 3/2! Ludens Cough Drops, only $0.24 at Shoprite, ends 2/23! FREE Colgate Oral Care at Shoprite, ends 2/23! Finesse Hair Care, only $0.29 at Shoprite, ends 2/23! Right Guard 48-Hr Deodorant, only $0.99 at Shoprite, ends 2/23! Playtex, Carefree or Stayfree, only $1.25 at Shoprite, ends 2/23! Arm & Hammer 3-in-1 Body Wash, only $0.99 at Shoprite, ends 2/23! Garnier Whole Blends, only $1.49 at Shoprite, ends 2/23! Huggies Jumbo Pack Diapers or Pull-Ups only $4.67 at Shoprite, end 2/23! Yoplait Go-Gurts only $0.75 at Shoprite, ends 2/23! Purex Liquid Laundry Detergent, Only $0.49 at Shoprite, ends 2/23! Viva Paper Towels, Just $0.58 per roll at Shoprite, ends 2/23! Score Fabuloso All Purpose Cleaner, only $0.74 at Shoprite, ends 2/23! Hershey’s Single Bars, only $0.69 at Shoprite, ends 2/23! Hefty Trash Bags, just $2.62 at Shoprite, ends 2/23! Select Colgate Toothpaste &Toothbrushes, only $0.88 at Shoprite, ends 2/23! International Delight Creamers, just $1.99 at Shoprite, ends 2/23! Cafe Bustelo Ground Coffee, only $1.99 at Shoprite, ends 2/23! Nathan’s Crinkle Cut Potatoes, only $1.88 at Shoprite, ends 2/23! Pepperidge Farm Swirl Bread, only $1.88 at Shoprite, ends 2/23! Shoprite Storage Zipper Bags only $1.00, ends 2/23! Scott Bath Tissue 12-pk, only $0.37 per roll at Shoprite, ends 2/23! Shoprite Chunk Cheese, only $1.00, ends 2/23! Hefty Foam Plates, just $1.49 at Shoprite, ends 2/23! Schick Hydro 5, Silk or Intuition Razor, just $0.99 at Shoprite, ends 2/16! L’Oreal Ever Family Hair Care, Only $1.99 at Shoprite, ends 2/16! Garnier Fructis Hair Care, only $0.66 at Shoprite, ends 2/16! Carefree Sheild Liners, only $0.88 at Shoprite, ends 2/16! FREE Colgate MaxFresh Toothpaste at Shoprite, ends 1/26! Palmolive Dish Liquid 32.5 ounce, just $0.99 Shoprite, ends 1/26! Shoprite Brand Apple Juice only $0.99, ends 1/26! Marcal Paper Towels, Only $2.99 at Shoprite, ends 1/26! San Giorgio Pasta, only $0.79 at Shoprite, ends 1/26! L’Oreal Elvive HairCare, only $1.16 at Shoprite, ends 1/26! Marcal Bath Tissue 12 pk, only $2.99 at Shoprite, ends 1/26! Ore-Ida Easy Fries, only $0.99 at Shoprite, ends 1/26! Stock-up on Halls Cough Drops, just $1.00 at Shoprite, ends 1/26! Green Giant Vegetables, only $0.49 at Shoprite, ends 1/26! Oral B Toothbrushes Only $0.88 at Shoprite, ends 1/26! Freschetta Pizza, Just $3.99 at Shoprite, ends 1/26! Crest Toothpaste & Gum Toothbrush only $0.88 at Shoprite, ends 1/26! Yardley Bar Soap, Just $0.74 at Shoprite, ends 1/26! Aim or Pepsodent Toothpaste, just $0.69 at Shoprite, ends 1/26! Ricola Cough Drops only $1.00 at Shoprite, ends 1/26! Ricola Cough Drops only $1.00 at Shoprite, ends 11/17!